"Welcome To The Blacksheep R/C Modelers Club!" Blacksheep note: Watch out for and avoid full scale traffic. Next club meeting: Wednesday May 1st at the field, 7:30 pm. FIELD IS CLOSED DUE TO RE SEEDING GRASS. ++ NEWS FLASH - you can pay your dues with Pay Pal. Our club e-mail address is: blacksheep@techcom.com (pay via person to person)++ If you are new or have information changes, please fill out and e-mail the membership application above. 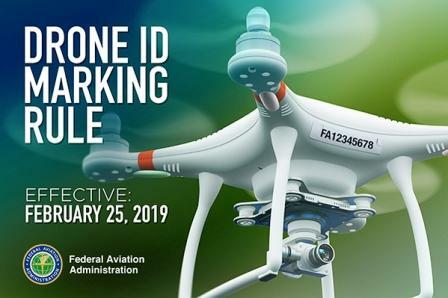 Click on the logo for a message from AMA and FAA regarding the new FAA UAS identification rules that are effective 25-Feb-2019. 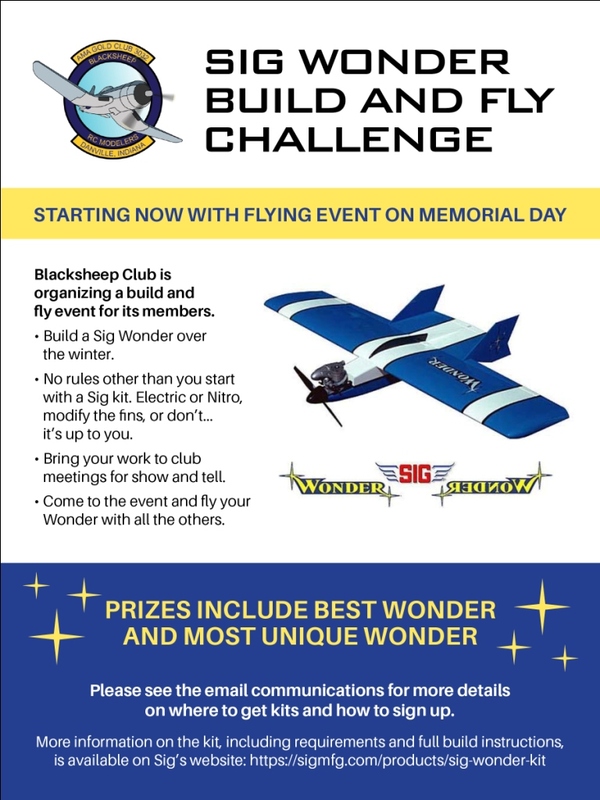 Click the logo to visit to our 2019 Blacksheep Build Challenge page for details! Let's all build a Sig Wonder. 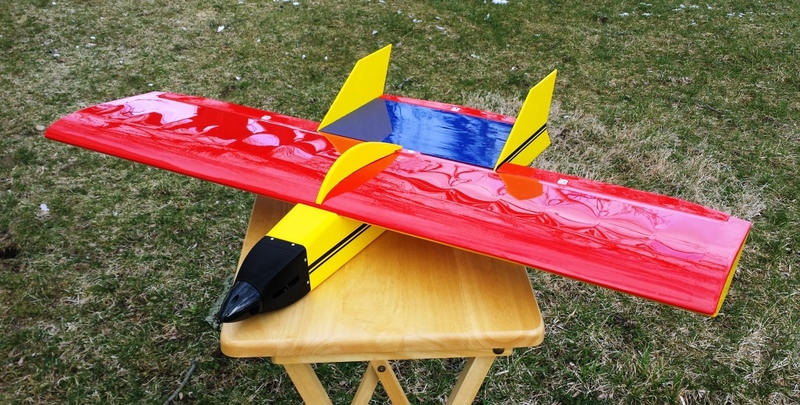 John Louden's Sig Wonder, almost ready to fly, very nice covering scheme. Check out the video page for a variety of our videos and the previous events page for past events.